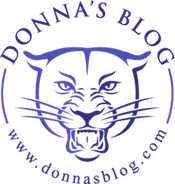 For several years, I’ve encouraged Donna Mahony to start a blog, and I am happy to report that Donna’s Blog at DonnasBlog.com is now live. I am sure I didn’t have much to do with Donna’s decision to start blogging, but I am excited that she made the move. Donna Mahony is founder of Domain Boardroom, a private domain industry discussion forum with about 250 members. Donna has been involved in the domain industry since 1999, and she knows most of the movers and shakers in the industry. I am sure I don’t really need to give you much more of an introduction. Donna was kind enough to share two well received blog posts about NamesCon – one prior to attending the conference and a second article after she attended. As you can probably tell by reading those articles, Donna shared some frank thoughts and advice, and I expect more of the same from Donna’s Blog. Based on a few conversations I’ve had with Donna, I expect that her blog will be filled with solid advice about domain investing based on her experience in the business. I also expect that she will share personal anecdotes from her time in the domain business. You can read her plans for her blog in her first blog post, and you can also read more about her in this 5 with Donna Mahony interview I published a few years ago. I am excited that Donna made the jump and is going to blog, and I will surely add it to my list of domain investment resources. Good luck to Donna on this new (ad)venture! Honestly I only know of Donna when DNW or Elliot runs a contest, Other than that I really don’t know her at all, I suppose that’s expected when you run a private forum closed to Google indexing. At any rate, best of luck with the blog, hopefully it won’t be private and we can actually get to know her. If it wasn’t for my blog, you wouldn’t know me either. Donna’s blog is going to be public. Hi Raider, I am rather low profile. My blog is open and I look forward to getting to know you better. I have seen your posts on the blogs and forums. Nice to meet you. In being low profile, you locked up a wealth of knowledge in the process, knowledge that deserves to be shared, Hopefully one day you’ll realize this and unlock it to the rest of the world. Good to hear your blog will be open. People are more willing to share information about their businesses in a private forum than in a forum that is indexed in Google. Raider, you’re fairly new to domaining so what you don’t know is that I’ve done my time in the trenches. I’ve given back to the industry every bit equal to what I’ve received. I learned about sharing in kindergarten and haven’t stopped yet. After nearly 20 years in this industry I simply choose to share in a quiet atmosphere where jonbluesox and 3stripfreddy don’t need to create havoc. So nothing is locked away, just doled out carefully to those who are willing to work as hard for it as I did. Fairly new to domaining? either your fishing or your making a clueless assumption, My registrations date back to 1997, but it wasn’t until the mid 2000’s when I really got into domaining selling off my investments and investing in new ones, 27 pages of closed Escrow.com transactions, over 90% of which are sales, If you followed my forum posts as you say, you would know how long I’ve been in it. As for creating havoc on a open forum, you can easily control that and still have your forum indexed in Google, The privacy issue that Elliot raises has the most validity, I was expecting that from you…. At any rate, I still feel private forums deprives domainers from a wealth of knowledge that could benefit them greatly, and help avoid many of the pitfalls that most of us have been through and wouldn’t wish on anyone. Nice to see you can comprehend just as well as Jeff. Really excellent credentials Raider. I’m sure you’ll remain successful and continue to do better each year. >If you followed my forum posts as you say< Just to be clear..I didn't say I follow your posts, just that I had seen them around. Again I wish you continued success. Congratulations to Donna for starting this new chapter! It’s always nice when another domain investor decides to share their knowledge about the industry, especially someone with as much experience as Donna. Thank you Nadia! It was nice meeting you at Namescon. Thanks for encouraging her all these years Elliot ! Sorry but that doesn’t make sense! Not one of those who contribute that ‘knowledge’ is locked in, or prohibited from sharing the same elsewhere. And many do. But as in those elsewhere places, snide shots like that and bravado static noise, is why ‘they’ choose ‘where’ they want to share their knowledge. Congrats Donna! Got it bookmarked. Was great meeting you Donna in a conference where you showed little signs of those pre-match nerves you previously mentioned! I would still love to get back on the DBR team if I haven’t missed the window of opportunity ;). Will be keeping a close eye on the blog! Very best of luck with it!! Elliot, I saw you once and man, you were looking like Casper (still of the friendly ghostly variety)!! Glad to hear you’re back to your best! Hi Andy! Come on back!! Congrats on starting the blog. You have a unique perspective to share and I look forward to reading. Thanks, just added to my daily RSS. Congrats to Donna! I met her at DBR fest last year, and she is a class act!!! She has done of great job over at Domain Board Room, and will be successful with her blog! You had us spellbound with your story Jim. I hope to see you there next year! Congrats Donna. We are proud to be a sponsor. Thank you Brandon! Escrow.com is not only great to do business with but unique in it’s widespread support of everything related to our industry! Before knowing Donna here I read about her for the first time at http://www.dnjournal.com/cover/2014/january.htm. I like to congrats her. Also, the name of site is similar to elliotsblog (previously) and ricksblog. Thank you Tauseef. Maybe that’s a sign that I’ll share a bit of Elliot and Ricks success!